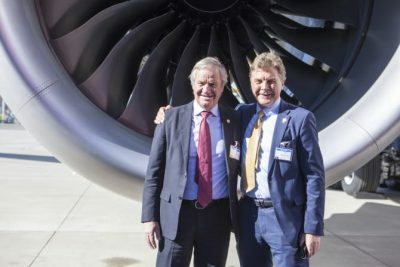 NEWS ANALYSIS: Bjørn Kjos, who has remained firmly in command of Norwegian Air, has suddenly found himself facing a potentially lucrative offer for the airline he founded from the owner of British Airways. As Norwegian’s shares continued to soar heading into the weekend, many think a takeover could also cure Norwegian’s chronic operating ailments and make it more professional, but fares may rise as well. Kjos landed back in Oslo on Friday to lead an extraordinary shareholders’ meeting, called to decide whether to raise NOK 1.5 billion in new capital for the debt-laden airline through a new share issue. The background for the meeting, though, took an even more extraordinary twist on Thursday, when International Airlines Group (IAG) confirmed it had acquired a 4.6 percent stake in the airline and was evaluating a takeover offer. That’s put the airline into play, with Kjos as major shareholder standing to profit from it. After skyrocketing 47 percent to close at NOK 264 on Thursday, when International Airlines Group (IAG) Norwegian’s shares were up another 7 percent by midday on Friday, to NOK 282 even before noontime. They fell back later in the afternoon, but the market clearly thinks Norwegian is worth more than it had been trading for, and gambling on even higher values. Analysts think Norwegian Air could attract as much as NOK 500 per share. It once traded as high as NOK 360, but heavy debt tied to its intercontinental expansion, labour challenges and a high level of passenger complaints over delays and cancellations have taken a toll in recent years. And then he noted that “‘for the right price, everything is for sale,’ as the saying goes. But the share price now is much too low in connection with the underlying values.” At this point, at least, Kjos said he had “never” thought about selling his shares. Nor, he told the Financial Times, has he evaluated whether to enter into talks with IAG. He said Norwegian Air would now probably engage financial advisers to help it deal with a potential acquisition offer. Others agree, and cite positive synergy effects given IAG’s ownership of not just British Airways but also Iberia and Vueling in Spain, which is major market for Norwegian and the site of one of its bases outside Norway. IAG has also invested in the low-fare long-haul airline Level, flying in a market where Nowegian is already a leader. “Consolidation could give meaning (to a takeover),” Jo Erlend Korsvold, an analyst at SEB who has followed Norwegian closely, told newspaper Aftenposten. He noted that Norwegian Air has also started flying routes where British Airways had earlier monopolies, like London to Buenos Aires and Austin, Texas. Tor W Andreassen, a professor at Bergen-based business school NHH (Norges Handelshøyskole), thinks IAG’s interest in Norwegian is exciting, and that a takeover by IAG can make the airline more professional. 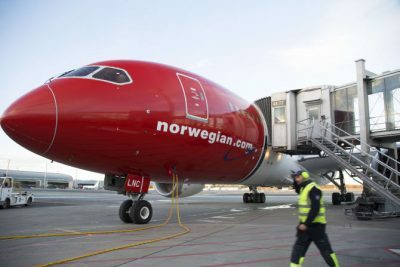 With a new owner, the professor added, Norwegian can get its regularity in order and “maintain its strong position on the innovation side.” That can also allow a new owner to raise fares, Andreassen noted. “They earn good money in the cabin,” he said, “but they could, in my opinion, boost customers’ willingness to pay higher fares” if they can prove better reliability. No one knew on Friday what Kjos’ “magic number is,” and given his family’s roughly 25 percent stake in the firm through the HBK Invest company set up with co-founder and old friend Bjørn Kise, that will determine whether there will be a deal. 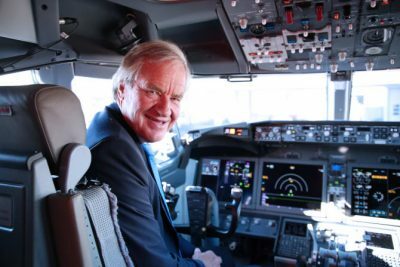 While Kjos (a pilot himself who once flew fighter jets ) is Norwegian Air’s CEO, Kise is its board chairman. Egil Stenshagen, another old friend and fellow investor in Norwegian Air, told newspaper DN that “we have to see what they (IAG) come up with in the form of an offer.” Stenhagen, a Norwegian billionaire and former rallycross champion who made his fortune importing BMWs, Land Rovers and Volvos to Norway, owns more than 600,000 shares in Norwegian and is one of the airline’s largest private shareholders. At the same time, Stenshagen added, “you can never ignore a good offer.” The ball seemed to be in IAG’s court, with a consensus among those reacting to its announcement believing IAG would make an offer that can fly. “Norwegian is a nice competitor to get rid of,” Preben Rasch-Olsen, an analyst at Carnegie Investment Bank, told NRK. Sissener, meanwhile, noted that Kjos “is over 70 and will have to step down at some point.” Selling to British Airways would make for a “fantastic exit,” Sissener suggested, with billions of kroner in his and other investors’ pockets.